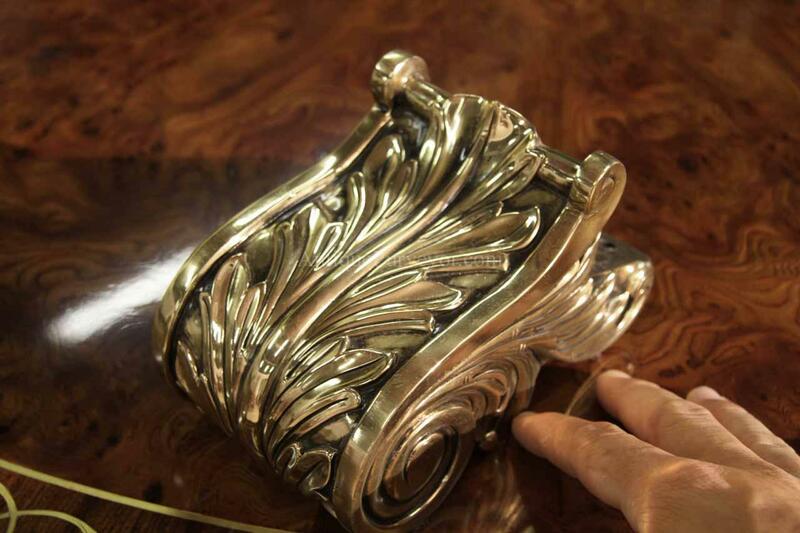 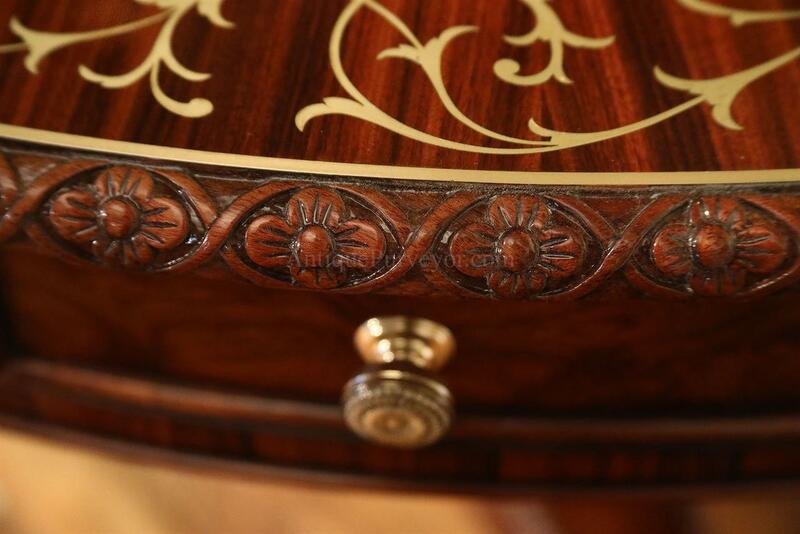 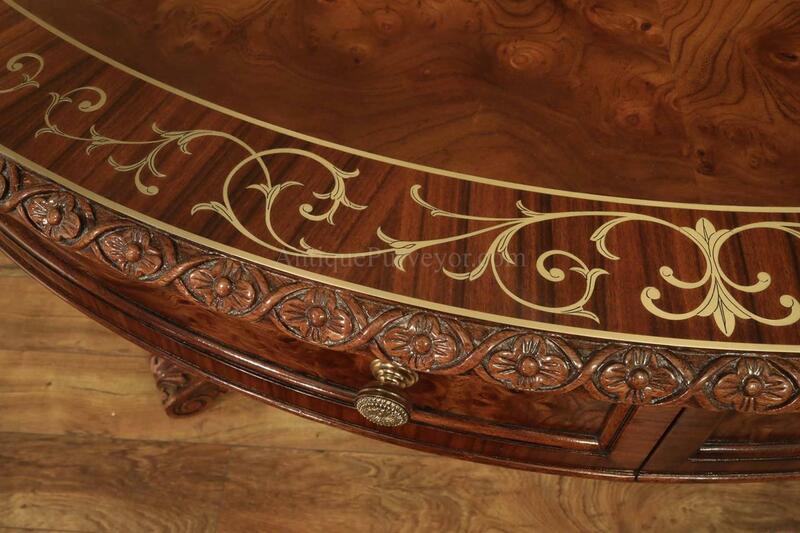 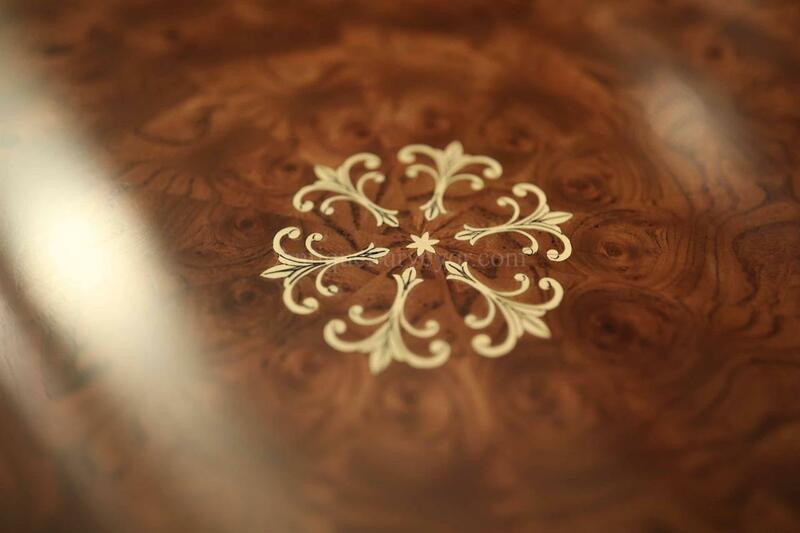 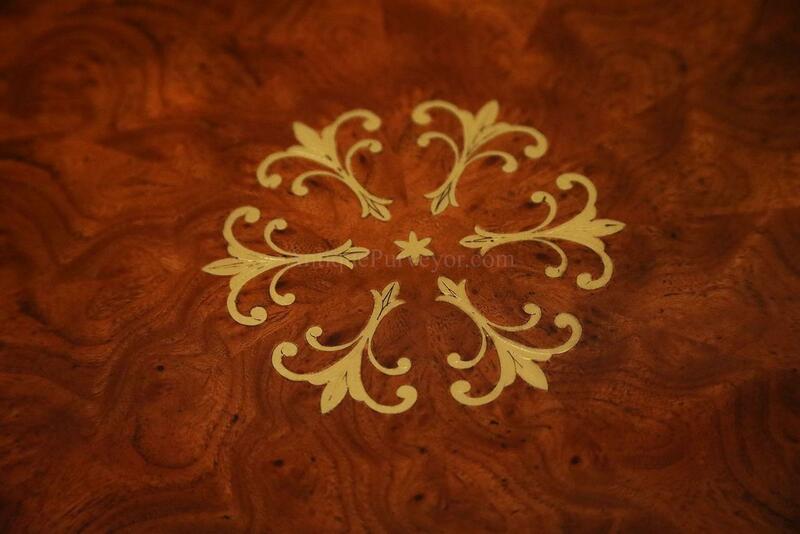 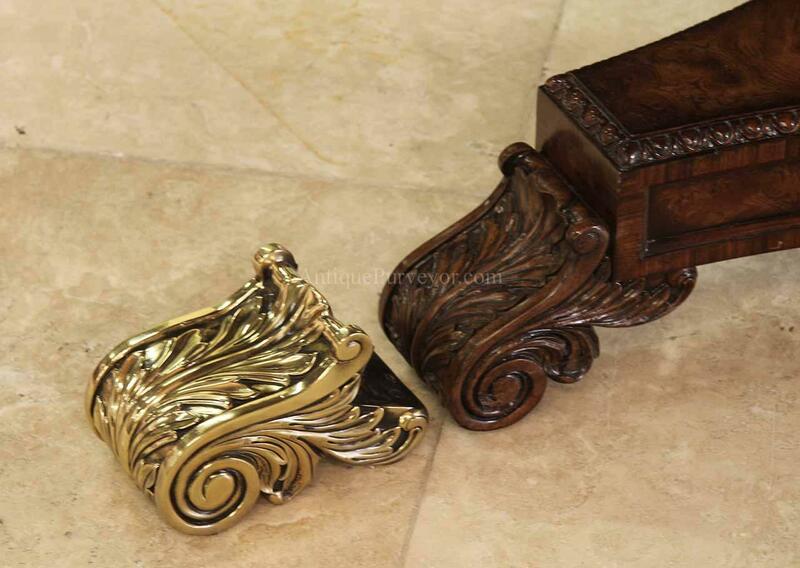 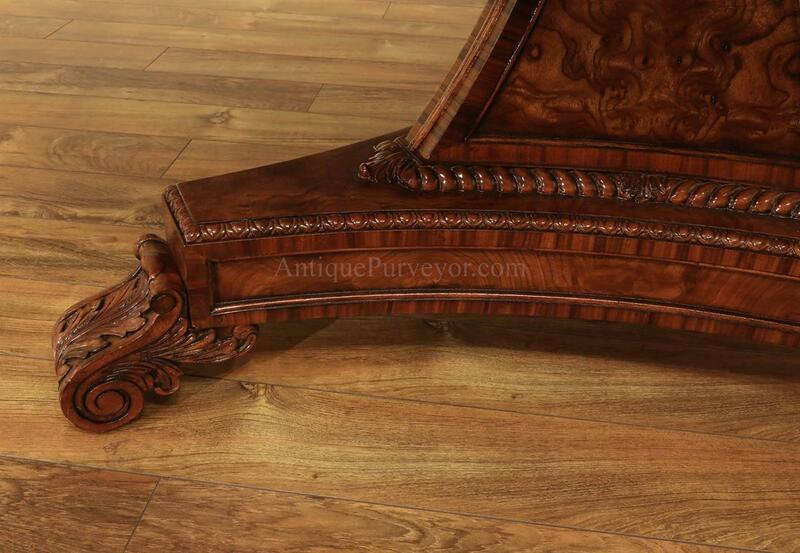 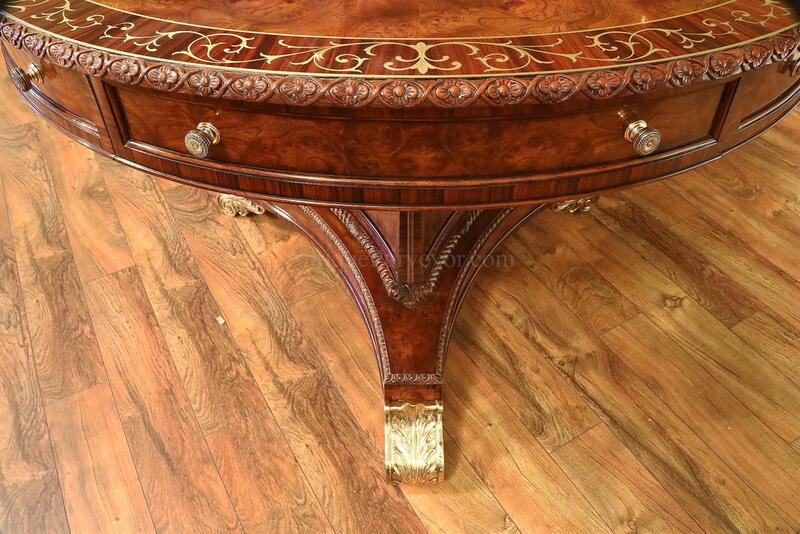 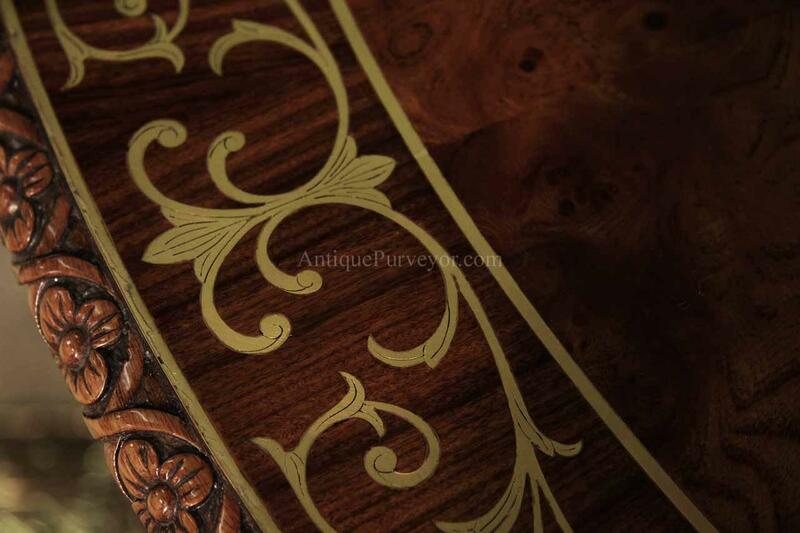 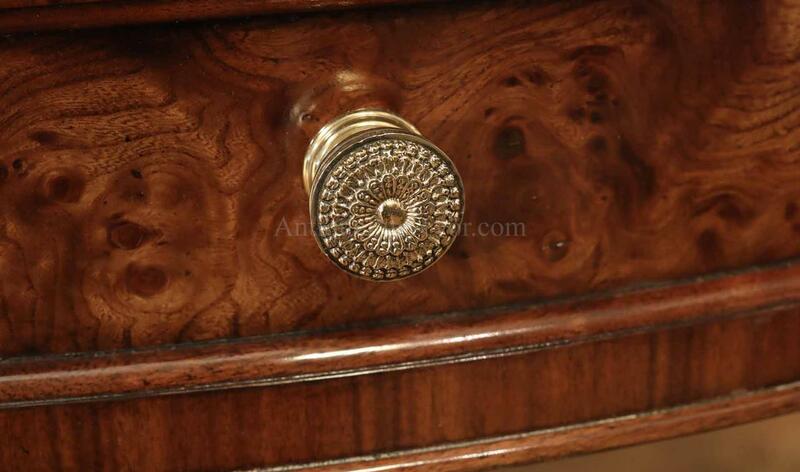 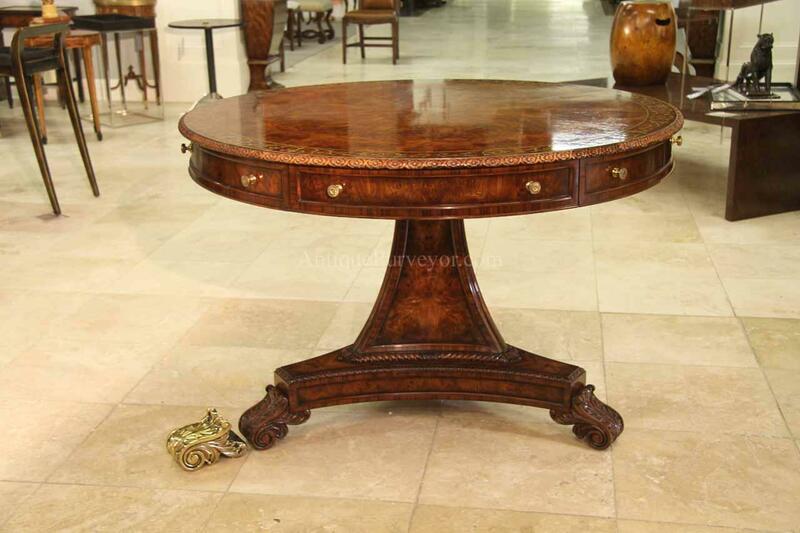 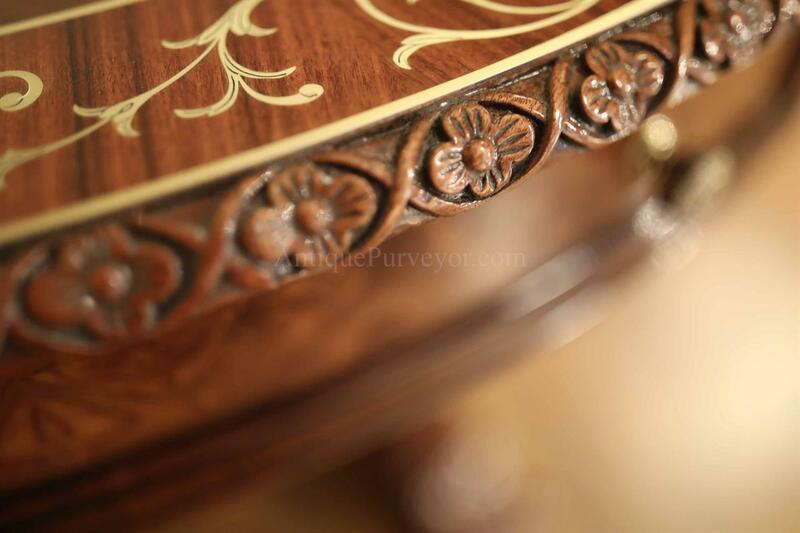 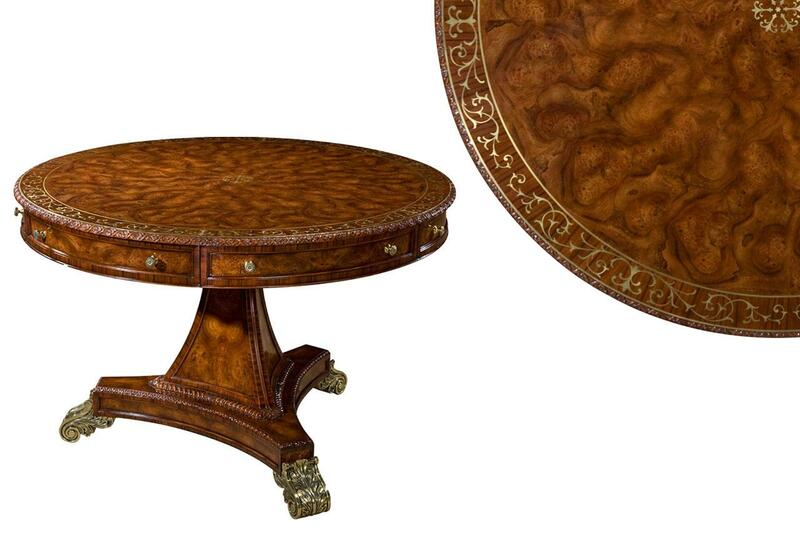 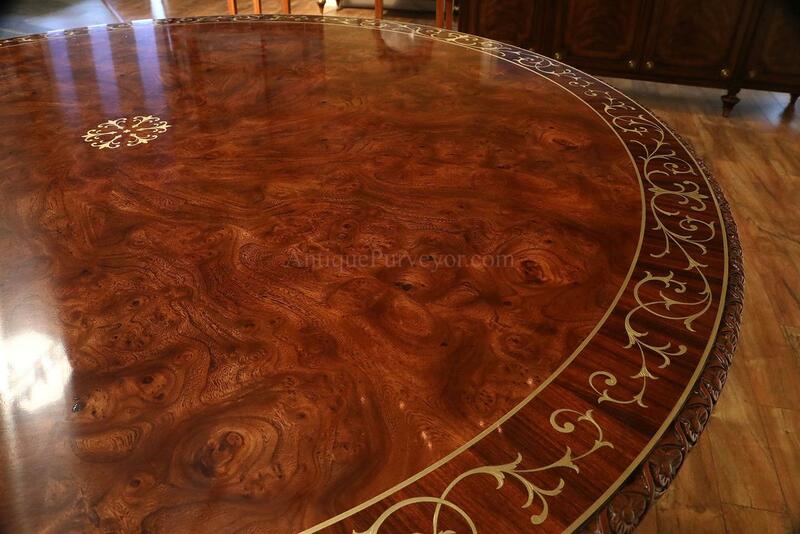 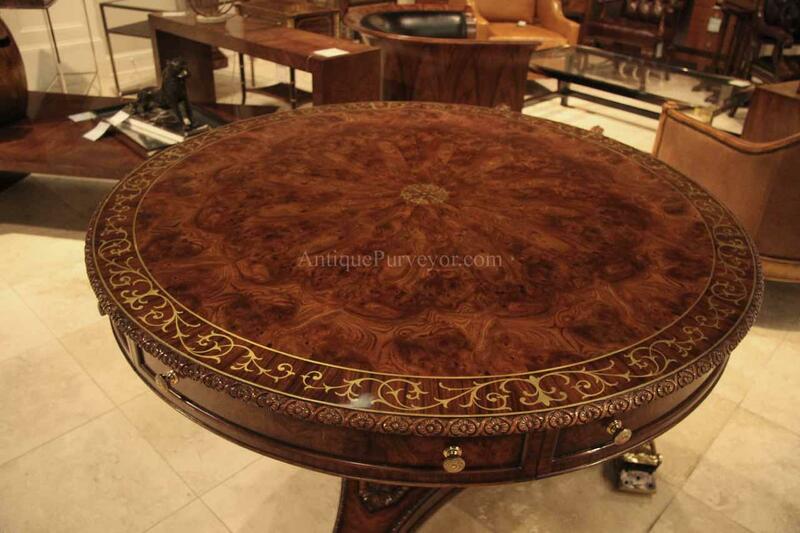 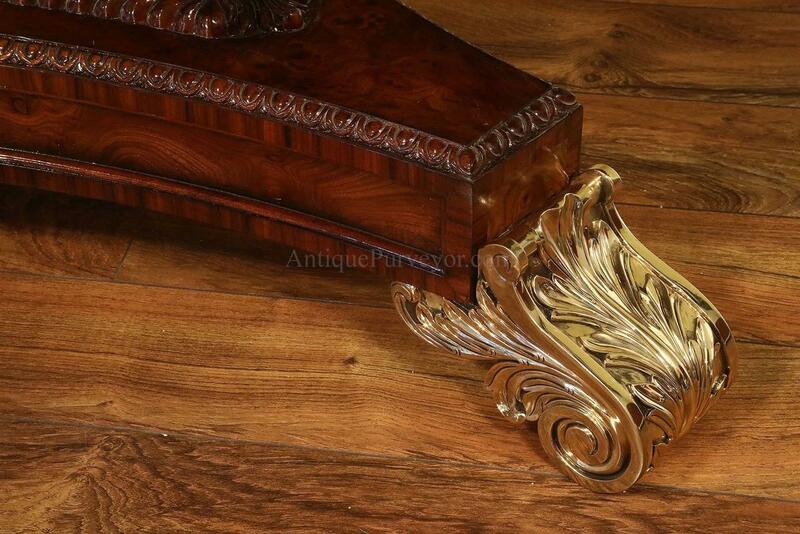 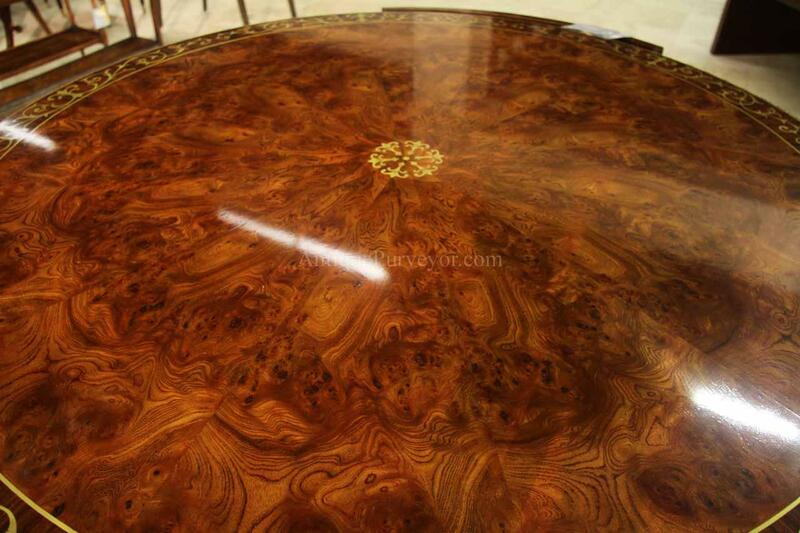 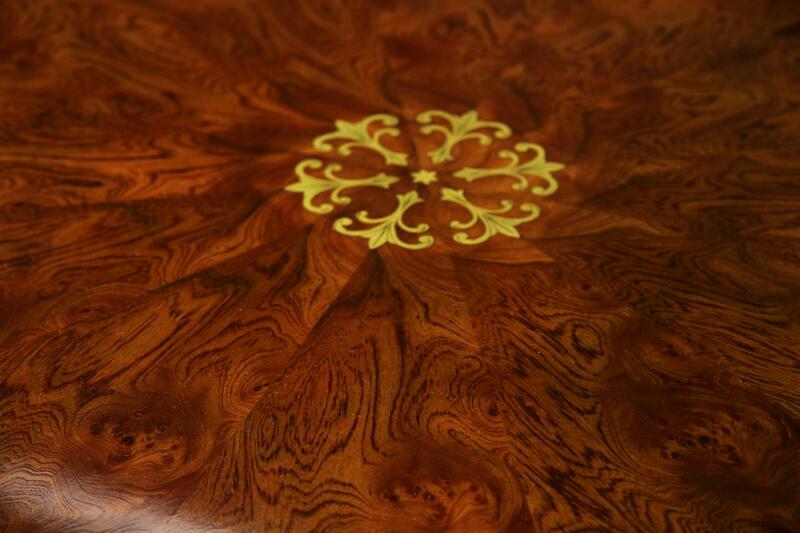 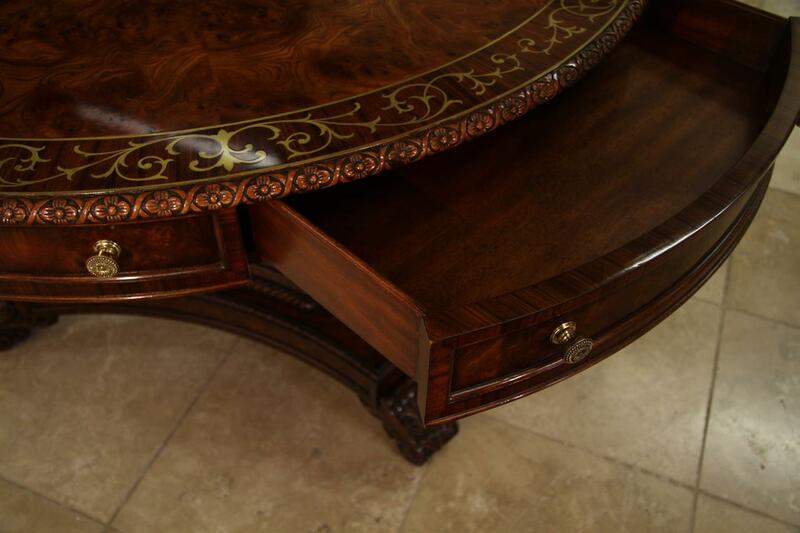 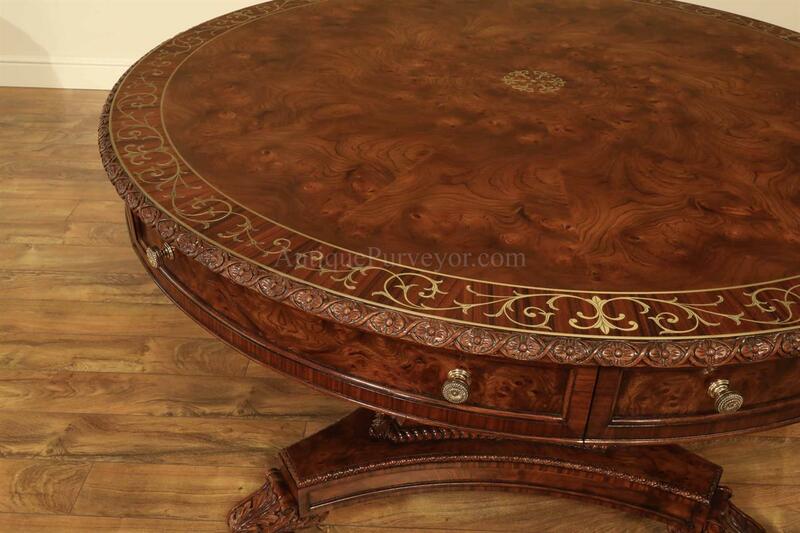 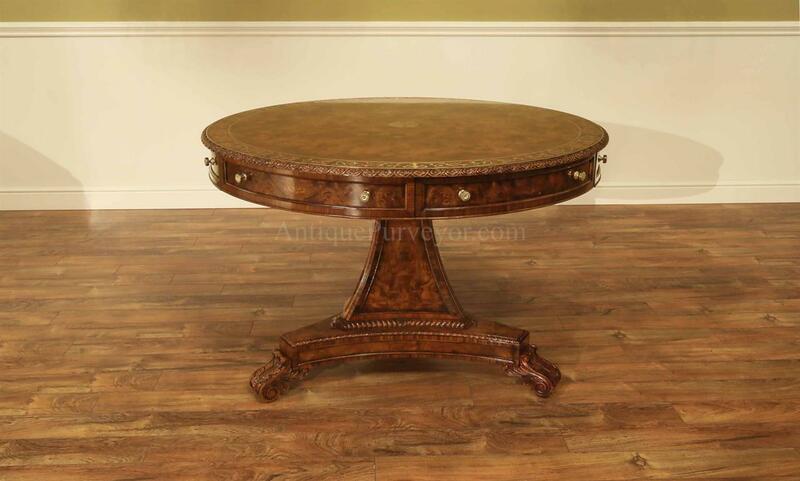 Description: Magnificant mahogany and burly elm center table with brass floral inlays. 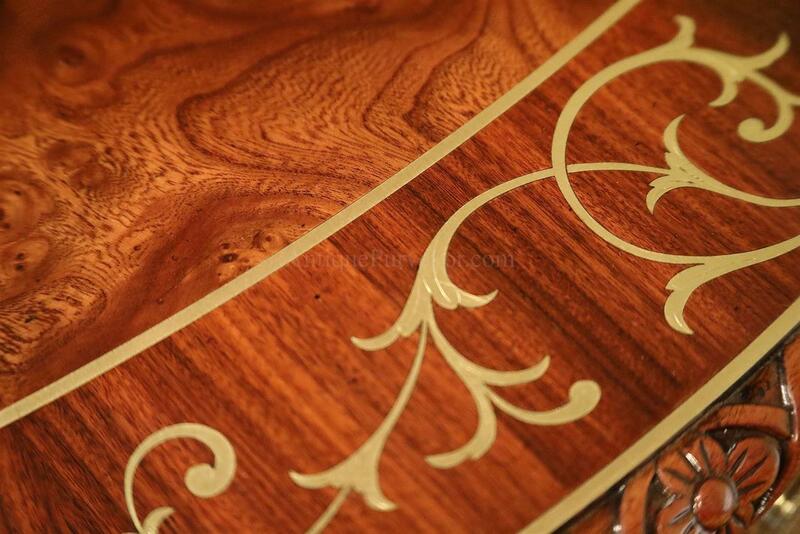 Crossbanded with rosewood. 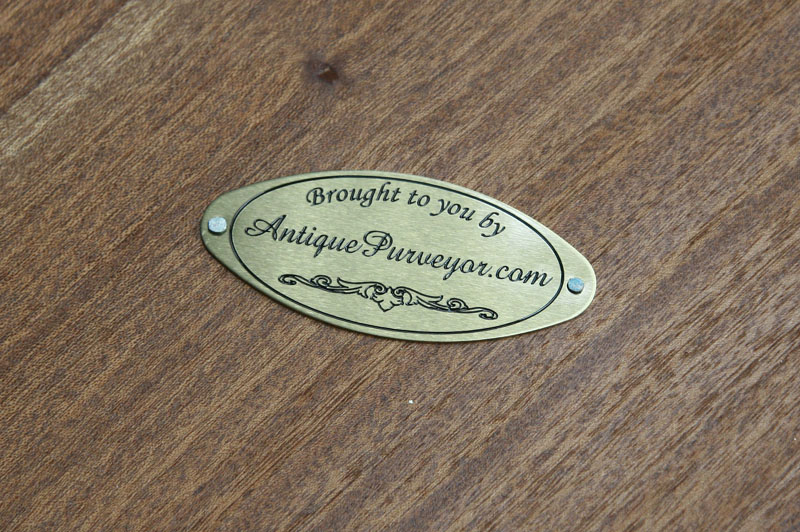 3 working drawers and 3 dummy drawers alternating around the perimeter of the table. 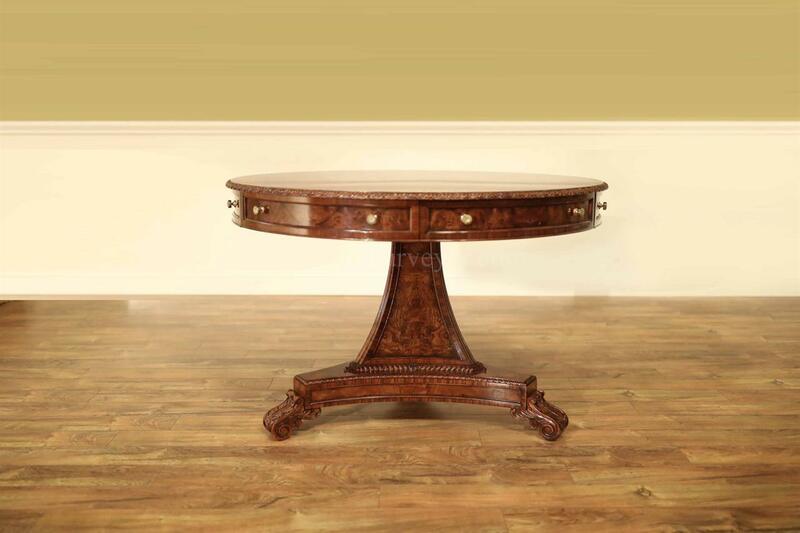 Trefoil tapered colum pedestal, gadroon edge and elm wood recessed panels, Table sits on scroll feet, which can be ordered in either solid wood or brass when you check out.